Expect modern American West Coast–style fare by Taste Lab’s first chef-in-residence, Paul Lee, who was trained at the acclaimed Patina restaurant in Los Angeles. Nitrogen coffee and tea-infused beer are just two of the more unusual offerings at Taste Lab, the newest lifestyle space at the Regent Taipei. In a first for Taiwan, guests here can enjoy a crossover of gourmet dining with 3-D technology through the Le Petit Chef Experience running until July 31; each course is preceded by a short animation narrating a virtual chef’s journey in creating that dish. 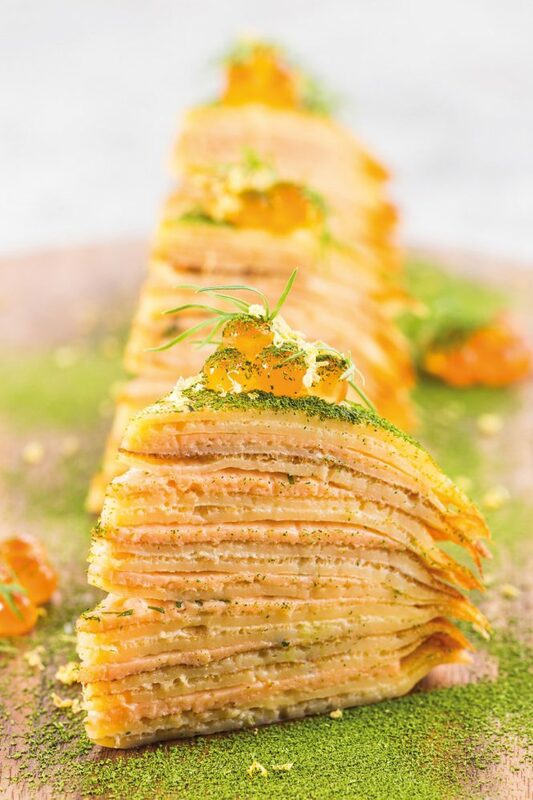 As for the menu, expect modern American West Coast–style fare (like smoked-salmon mille crepes) by Taste Lab’s first chef-in-residence, Paul Lee, who was trained at the acclaimed Patina restaurant in Los Angeles. A three-and-a-half hour stint as a culinary professional is also on the cards for those keen to test their mettle in the kitchen. This article originally appeared in the June/July 2018 print issue of DestinAsian magazine (“Testing Grounds”).